San Vero Milis is a municipality in the province of Oristano, an ideal destination for those who want to explore the Sinis Peninsula. San Vero Milis is a farmer town with a few attractions but mainly famous for the “Festa del vino novello” (Celebration of the new wine) which every year allows visitors to taste first the new vintage. The local wine is Vernaccia, a unique wine that, when aged, reaches a concentration above 15%. The coast is, nonetheless, the real attraction of San Vero Milis, just 18km from the town center. The Islands of Mal di Ventre, Capo Mannu, Capo Nieddu, Putzu Idu and the ruins of Tharros are just a few attractions to discover if you choose to spend your holidays here. This part of Sardinia is also very famous among surfers, thanks to its fantastic and high waves, attracting tourists from all over the world, all year round. 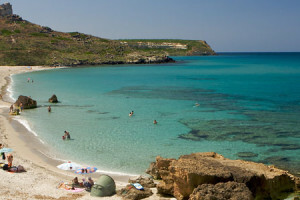 Among the most famous holiday and seaside destinations around San Vero Milis (just 18 km away) there is Putzu Idu beach. A white sandy beach with salt mines in the background and a small residential area made of holiday homes. During the summer tourists arrive and everything is in full swing: markets, supermarkets, beach kiosks and tour services for the Mal Di Ventre Island. Putzu Idu is a perfect base to explore some of Sardinia’s best locations: Oristano, Cabras, Tharros, the wonderful beaches of Is Aruttas, Mari Ermi, Maimoni just to name a few. A less crowded area compared to other locations, which will make your stay much more pleasant and enjoyable. San Vero Milis is mainly famous and popular for its coastline and the premier activity is to enjoy the fantastic beaches of the Sinis Peninsula. The main attractions of San Vero Milis and its coastline revolve around nature thanks to the pond Sal'Porcus, the Protected Marine Area "Penisola del Sinis – Isola di Mal di Ventre" where it is possible to organize day trips, boat tours, diving and snorkeling in the waters of the Sinis Peninsula. For those who love surfing, stand up paddling (SUP) and all sailing sports, this part of Sardinia is one of top destinations. Capu Mannu, Putzu Idu, Su Pallosu and above all the presence of a Surfing School open all year round. The best day trip to enjoy a day by a pristine beach is the trip to Mal di Ventre…in Sardinian language called Malu Entu (Cursed Wind). Every day (during high season) you can take a tour to one of the islands just off the coast (departures from Putzu Idu) that thanks to the environmental protection will let you enjoy a unique experience: the animal species, the beach, the rocks, the flora and fauna are carefully protected here. 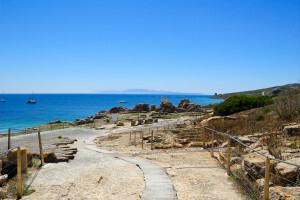 The main attractions of San Vero Milis and of Sardinia’s Western coast are tied to the ancient history of the island, very rich in this area thanks to the cities founded by the Phoenicians. The main archeological site to visit is the city of Tharros. 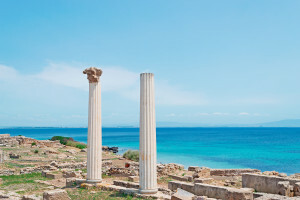 It is located about 21 km from Putzu Idu; from an historical point of view, it is one of the most important Phoenicians cities, which was later settled by the Romans. In San Giovanni in Sinis, on the Sinis Peninsula as well, you can visit the charming and mysterious paleochristian church, one of the most ancient in all of Sardinia. It dates back to the 11th century a.d. And it is rectangular in shape, divided into three aisles. It certainly is a religious place of ancient charm. Cabras is the most important town of the area: famous for its fish ponds, breeding mullets, producing Botargo, its gastronomy and producing the wine Vernaccia. We also recommend it to organized a day trip to the church of Santa Maria. 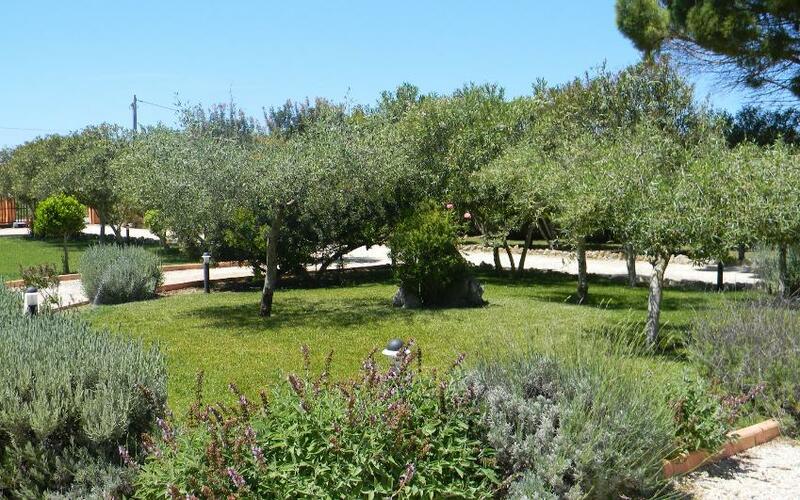 The Contini vineyards are certainly worth a visit, one of the top producers in Sardinia. Imagine a Spaghetti Western film of the 60’s and then visit the town of San Salvatore. A perfect movie set that will remind you of duels and shootings scenes, Sergio Leone style. A small village still inhabited that boasts a very old but important church to visit. San Vero Milis is only a starting point to discover the fantastic beaches of the Sinis Peninsula. Putzu Idu is but one of the many beaches that you can visit if you decide to spend your holidays in this area of Sardinia’s Western coast. A protected marine area, a captivating promontory, long sandy stretches of amazing colors and a sea with perfect waves for surfing. Putzu Idu beach is a long stretch of sand, just behind the tourist and all of its facilities and services. White sand with grey nuances and shallow waters. During the summer the area is equipped with kiosk to buy food and rent beach chairs, pedal boats or book trips and tours to the Mal Di Ventre Island. S'Arena Scoada is located near the locality of the same name, in the municipality of San Vero Milis. A white sandy beach with tiny multicolor quartz grains. Perfect for surfing, and ideal for children thanks to its shallow waters. Some of the rocks are made of limestone mixed with clay, very good for the skin. Sa Mesa Longa is another fascinating beach near Putzu Idu. 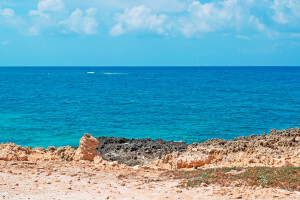 The cliffs fall sheer into the sea, beautifully framing this beach with colors ranging from yellow to red. In front of the beach there is a rock that you can reach swimming. This beach, between Capo Mannu and Su Pallosu is certainly one of the most captivating ones in the area. Su Tingiosu is a beach south of Putzu Idu and is located on a stretch of coastline particularly full of cliff falling sheer into the sea. It is a small sandy bay with small quartz that give shades of golden and ochre colors. The cliffs change their shape and color every year due to the erosion by the strong waves that clash on them carried by the Mistral wind. A pristine beach ideal for those who love underwater fishing and snorkeling, and those who love peace and quiet. Certainly one of the best beaches in Sardinia, though less famous: Mari Ermi is a huge stretch of white quartz sand. Behind, the old fishermen houses made of saw-sedge, now almost disappeared. Crystal clear waters and the absence of facilities make this corner of Sardinia one of the most beautiful and captivating ones. 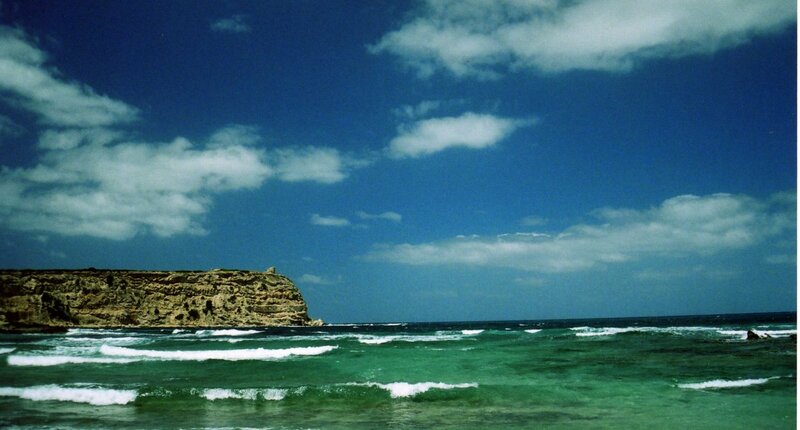 The most famous beach of the Sinis Peninsula, Is Arutas is 2013 was named one of the most beautiful beaches in the world. The sand consists of small round grains that sparkle in the sun and make this one of Sardinia’s most popular beaches. A perfect surfing spot for those who like the sport, but also for those who want to marvel at the amazing waves in this part of Sardinia.